It used to be that everyone read the “notorious” Bernard Mandeville (1670–1733). He was a great satirist and came to have a profound impact on economics, ethics, and social philosophy. 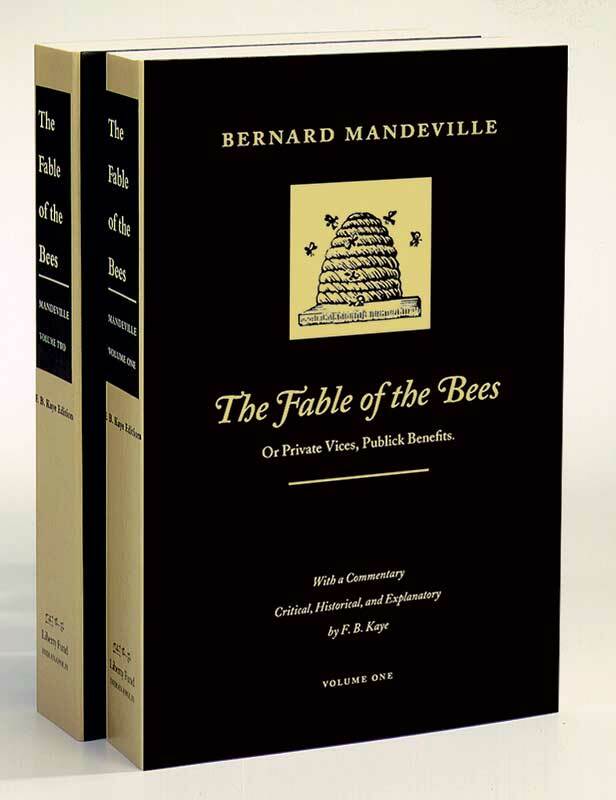 The Fable of the Bees begins with a poem and continues with a number of essays and dialogues. It is all tied together by the startling and original idea that “private vices” (self-interest) lead to “publick benefits” (the development and operation of society). From that simple beginning, Mandeville saw that orderly social structures (such as law, language, the market, and even the growth of knowledge) were a spontaneous growth developing out of individual human actions. Vol. I, preface. Vol II, preface and index.